My empwronline post, regarding seminars about eBay selling (which I strongly advise you don’t waste your time and money on) has received an interesting response both her and on Tamebay. Thank you to everyone who has commented or emailed me privately: I’ve heard from some seriously disgruntled EmPwrOnline customers. One comment from AuctionPix Eddie on the Tamebay post caught my eye. He suggested that I search for ‘eBay helpline’ on Google and so I did. And blimey, there really are a load of people peddling unofficial paid-for eBay Helpline. Is there an official eBay helpline? Several, but not everyone has access to them. 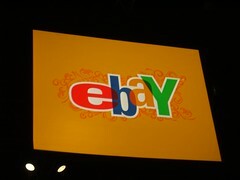 Some buyers will see an official number on eBay when they’re logged in. Shop owners and PowerSellers also have dedicated numbers. They all start 0208. None of the premium rate numbers on Google are helplines from eBay itself: they are run by third parties keen to profit from eBay’s aloofness and inaccessibility. * I don’t think anyone should pay for ‘premium rate’ help by the minute, when free help is at hand. So how do you get free help if you have an issue? If you’re permitted to call a dedicated official helpline then you’ll know from eBay itself. eBay’s own help system is also worth using but expect frustration. Tip: use Google to search the pages, not eBay’s own rather pony search. I also rate eBay’s community facilities and also recommend TameBay’s excellent forum. *Of course, there should be better customer help and a phone number for all buyers and sellers. But there isn’t and that’s a discussion for another day. I also reckon that eBay should be pursuing the people who are ‘passing off’ these services but that’s also a different discussion too. Do you realise the two reflections, under the eBay sign in your photo, actually look like the eyes of some evil demon lurking in the darkness waiting to pounce? Dan – whilst I agree with you that “that eBay should be pursuing the people who are ‘passing offâ€™ these services”, like snipe sites I assume they are ‘tolerated’ by eBay ? So, bearing that in mind – who better than yourself could also create an ‘eBay helpline’ and make hay whilst the sun is allowed to shine. I must admit – I considered it myself, but decided not to, as it would be too much of a diversion from my present path. Sue and Dan – it gets worse !